Ventilation is used to improve the air environment in the workshop. On the one hand, polluted air which does not meet the hygienic standards is discharged to the outdoor in some places or the whole workshop. On the other hand, fresh air or purified air which meets the hygienic requirements is sent into the room. We call the former the exhaust, and the latter is called the air intake. In the locality where harmful substances are concentrated, a trap is set up to discharge harmful substances to control the diffusion of harmful substances into the room. This ventilation method is called local exhaust. This is the most effective ventilation method to prevent dust and dust. Partial exhaust hood is used to capture harmful substances. Its performance has a direct impact on the technical and economic indexes of the local exhaust system. Good performance of local exhaust hood, such as airtight cover, as long as a small amount of air can be achieved good results. 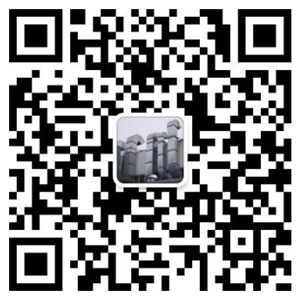 Because of the difference in production equipment and operation, the form of exhaust hood is varied. The duct that conveys gas in a ventilation system is called an air duct. It connects all kinds of equipment or components in the system into a whole. In order to improve the economy of the system, the gas flow rate in the air duct should be reasonably selected, and the stress of the pipeline should be short and straight. 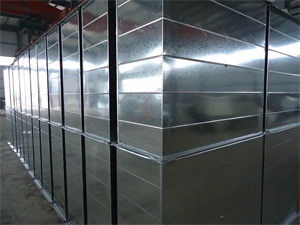 The duct is usually made of smooth surface materials, such as thin steel plate, PVC board, and sometimes concrete, brick and other materials. In order to prevent air pollution, when the amount of harmful substances discharged from the air exceeds the discharge standard, it must be treated with purification equipment. After reaching the discharge standard, the air is discharged. Cleaning equipment is divided into two categories: dust collector and harmful gas purification device. The power of the fan to catch the air flow to the mechanical exhaust system. In order to prevent fan wear and corrosion, it is usually placed behind the purification equipment. Local ventilation is achieved if ventilation or supply is carried out only at local locations; full ventilation is achieved if ventilation or supply is carried out throughout the workshop. Generally, ventilation can be divided into local ventilation, comprehensive ventilation and accident ventilation according to the scope of the ventilation system. Local ventilation system is divided into two categories: local air intake and local air exhaust. Both of them make use of local air flow, so that local workplaces are not polluted by harmful substances, resulting in a good air environment. With the summary above Ji'nan smoke hood, I hope it will be helpful to our customers. If you don't understand or ask for help, please click our official website: http://www.jnqsg.com or call for advice, we will do our best to solve it for you!